This popular one-day training is now open for bookings. This workshop aims to provide participants with basic up-to-date and relevant information on HIV and sexually transmitted infections (STIs), including transmission, prevention, testing and treatment. The training will be beneficial to professionals across a range of sectors who work with service users who may be at risk of HIV, STIs and poorer sexual health outcomes, such as youth projects and organisations, LGBT organisations, education centres, drugs-related projects, housing/homeless projects, and organisations working with migrant communities and asylum seekers/refugees. More information and booking forms here. 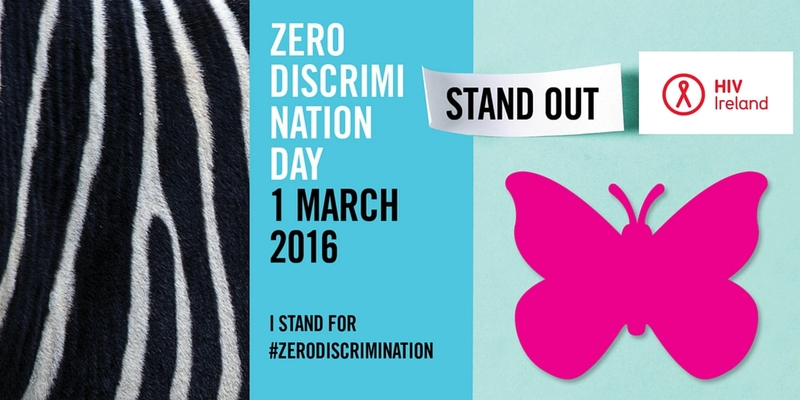 Zero Discrimination Day is a global event which takes place on 1st March annually. Lead by UNAIDS, the event is a call to people everywhere to promote and celebrate diversity, tolerance and inclusion and to stand together to end discrimination. Discrimination is a violation of human rights and must not go unchallenged. Everyone can be part of the transformation and stand out for fair, equal and just societies. To reach zero new HIV infections we must achieve Zero Stigma and Zero Discrimination. Will you stand for #ZeroDiscrimination for all people living with HIV? Will you challenge HIV-related stigma and discrimination? It’s time to change the way we see, think and speak HIV. Stand Out! Join the #ZeroDiscrimination movement. 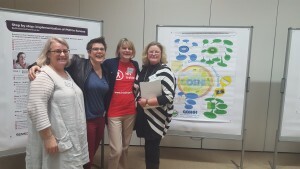 In 2014, HIV Ireland attended six days training and piloted the application of the Quality Action ‘Succeed‘ tool within our organisation to self-assess and improve the quality of one of our HIV prevention projects. This conference provided the opportunity to take stock of the latest developments in improving quality in HIV prevention, and brought together representatives from governmental and non-governmental organisations to share their experiences in applying practical quality improvement tools. Highlights of the conference included the launch of a new Charter for Quality in HIV Prevention as well as the presentation of the project’s Policy Kit with policy statements and strategic actions to support quality improvement in HIV prevention at national and regional levels. Learn more about Quality Action: Improving HIV Prevention in Europe at www.qualityaction.eu.